Omnisphere Cyberia is a collection of 300 patches for Spectrasonics Omnisphere 2. It is designed to blend the electronic and organic worlds, in order to provide dynamic and dramatic, atmospheric sounds; full of grit, punch and wonder. The library is primarily aimed at the dense, action-packed and immersive soundtracks of modern FPS games such as Modern Warfare, Call of Duty, Ghost Recon, Battlefield and Halo; but it also brings in hints of powerful, modulating dancefloor synths, the delicately brutal score sound of Nick Cave & Warren Ellis, and even some folk horror. Cyberia is dripping with rippling basslines, bowed drones, atonal pulses, thrashy guitars, dark synths, glitchy textures, hi-octane loops, epic impacts, dusty organic pads, brooding atmospheres and spine-chilling effects. This collection creates an enveloping world of sound: tense, aggressive, lustrous, raw and complex. It takes thrilling, cutting edge, cinematic sounds and adds an extra layer of intimacy, ambience and unease, placing you at the centre of a sonic palette designed to tell a gripping and eclectic story. 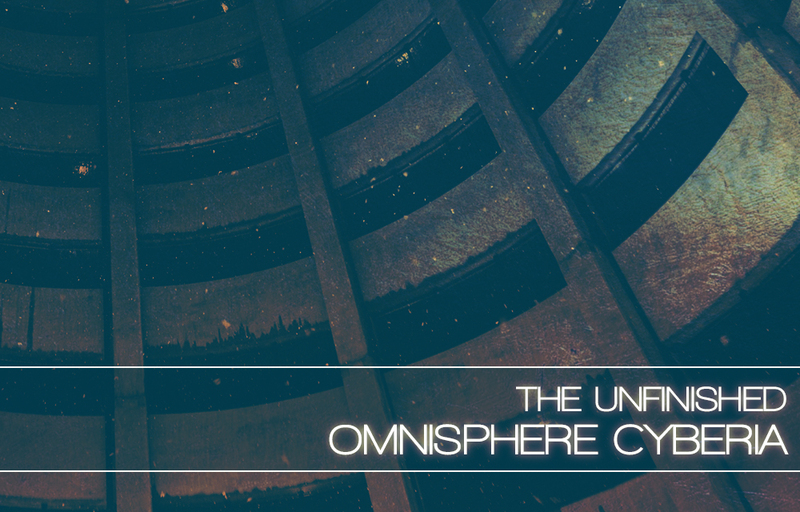 Omnisphere Cyberia is available for £39.99 +VAT. You will need Omnisphere 2 to run this library.